Samsung makes a surprise with their first release in the MWC 2018 with the new Android Samsung Galaxy S9 and Galaxy S9+. At a glance, the looks of the new Galaxy S9 and S9+ is similar to the previous Galaxy S8 that has launched in the last year in 2017. However, Samsung makes sure that this Samsung Galaxy S9 and Galaxy S9 is new and extremely fresh. In the first day of the Samsung Galaxy S9 and Galaxy S9+ launching, Samsung tells that their new Android of Samsung Galaxy S9 and S9+ has an incredible camera feature capacity. According to the Galaxy S9 user guide, this camera feature is really different from the previous camera of the Galaxy S8. The camera of Android Galaxy S9 and S9+ has two headlining cameras which separated. Then, do you want to know about the camera on the new Android of Samsung? Here the complete information for you! The first feature of Samsung Galaxy S9 camera is variable aperture. Have you known about the variable aperture? So, first of all, you have to know about the explanation of an aperture. As you know, an aperture in the camera is a process of an opening camera which is a light pass through the sensor or the film. The function of the aperture in the camera is like a pupil for the human eyes. The main function of the aperture in the camera is to adjust the size of the aperture and the amount of the lighting which enter to the camera system. Samsung Galaxy S9 and Galaxy S9+ are really amazing. It has provided the camera with two apertures that are f2.4 and f1.5. Having two amazing aperture of the camera makes Samsung Galaxy S9 and S9+ has a better and softer photos result. People can measure its low light and more light by themselves. 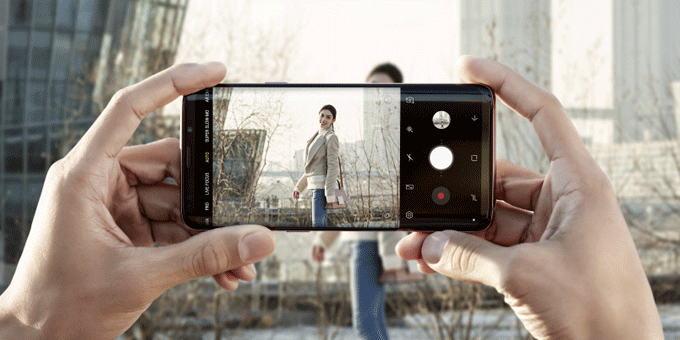 Besides, the Samsung Galaxy S9 and S9+ also provided a feature of camera sensor. It is to make take a photo in the dark. So, people can take a lot of photos in such bright light or even in the dark.